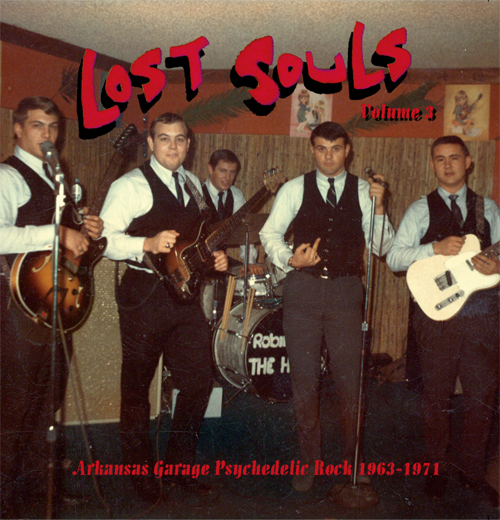 In my research for 45RPM, I came across an amazing wealth of Arkansas-specific information on the Pysch Of The South website and a killer compilation of early garage rock, which I talked about here. I have been listening to this collection since late summer. I definitelyÂ have my favorites, likeÂ “I Can See Your Ways”Â byÂ Richard Vanover & Bob Ralph and “Hush Puppy” by The Spyders.Â The version of ” Little Latin Lupe Lu”Â by Don Norviel & the Visions I dig way more than the Mitch Ryder & The Detroit Wheels cover.Â And you have to love “Fouke Monster”Â by Billy Cole & the Fouke Monster created to promote the cult classic film Legend Of Boggy Creek. The entire collection is worth owning the hard copy: 29 tracks, a fat insert with super detailed liner notes and pictures – This is what all albums should be!Â Many of the songs compiled in these collections have been gathered from original acetates, 45s, and reel to reel tapes not found anywhere else. Not only is it an exciting and obscure part of Arkansas’s music history, but many of the songs are infectious and will make their way into your playlists. ALSO: check out the complete Lost Souls documentary to see the story of the garage rock band out of Jacksonville who are the namesake of these labor-of-love compilations. Thanks Harold for all the hard work! While writing the 45 RPM script, some research brought me to Harold Ott’s website Psych of the South. 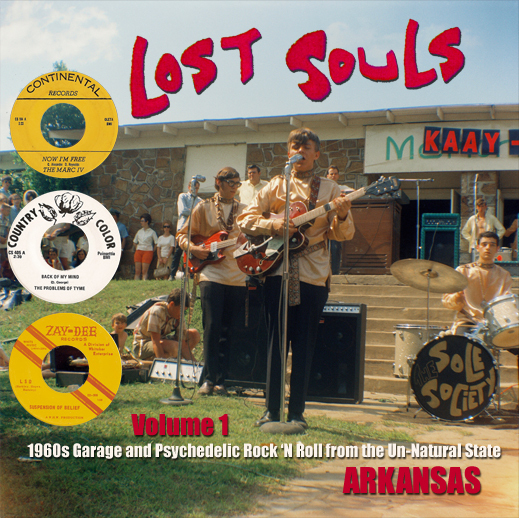 Here I found a wealth of information about Arkansas-based bands from the 1960s.Â Better still, a CD compilation of songs called Lost Souls Volume 1 – 1960s Garage and Psychedelic Rock ‘N’ Roll from the Un-Natural State: Arkansas. I have to say I have been listening to it nonstop. It is available on the Psych website, iTunes, and Amazon. Definitely check it out if you enjoy low-fi pre-punk garage music as much as I do. Watch “Lost Souls” on Youtube! It is tough to find such detailed first-hand accounts of what the music scene was really like Arkansas in the 1960s. Seeing the band discuss their teenage rock ‘n roll experiences gives me great insight into Arkansas’s musical past.